One of the leading all-in-one phone, team messaging, and video conferencing services. 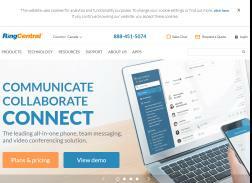 Get 25% Off RingCentral Mobile Canada. Get 30% Off First 3 Months on any Plan. Get 30% off on first 3 months on any plan.